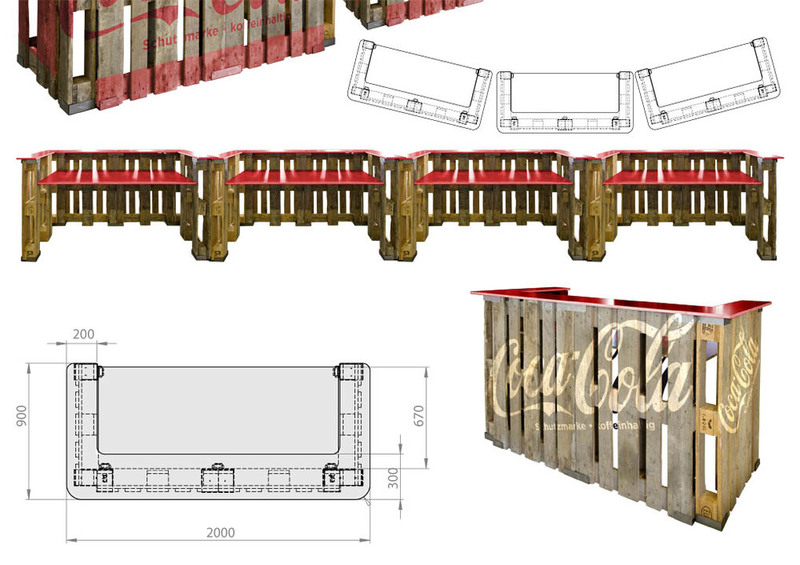 EU–PALLET BAR an austrian event agency successfully organizing catering- and barevents in the fashion industry has commissioned Walking Chair to design a simple bar based on simple materials. 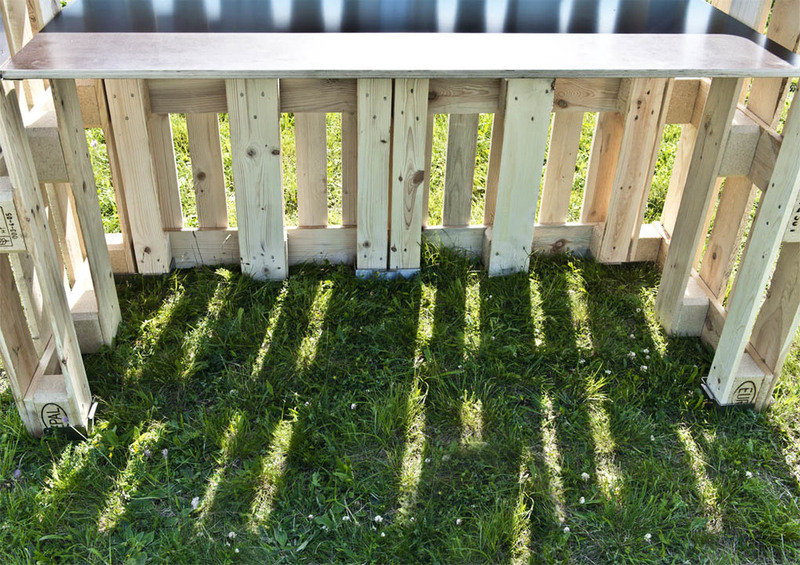 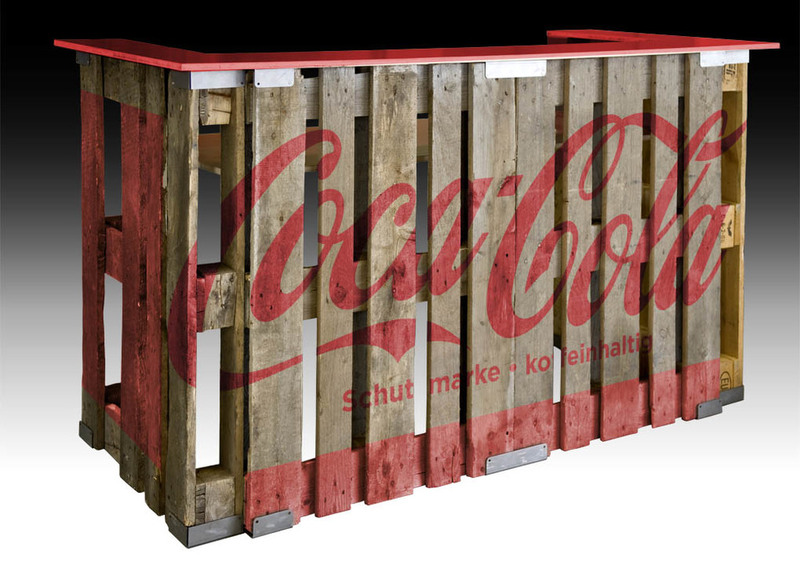 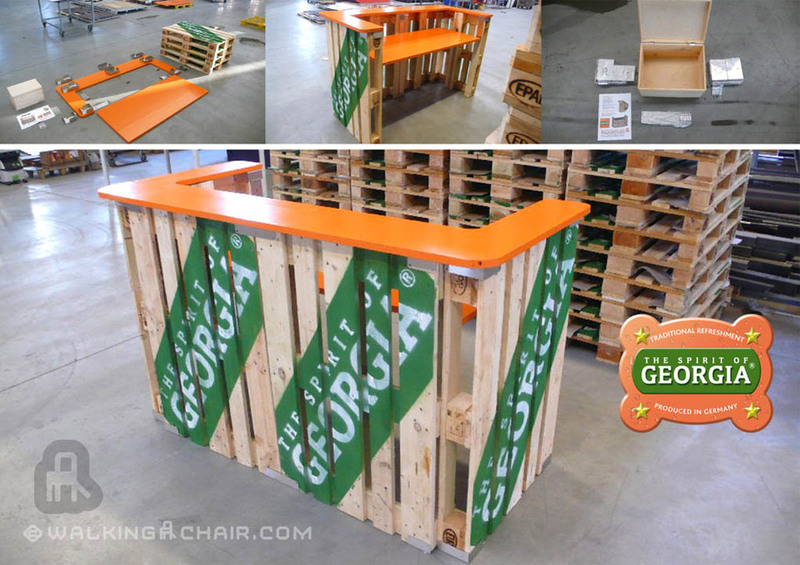 The bar consists of standardized EU pallets (80 x 120cm), and specially developed connection elements convert simple pallets into a fashionable bar. 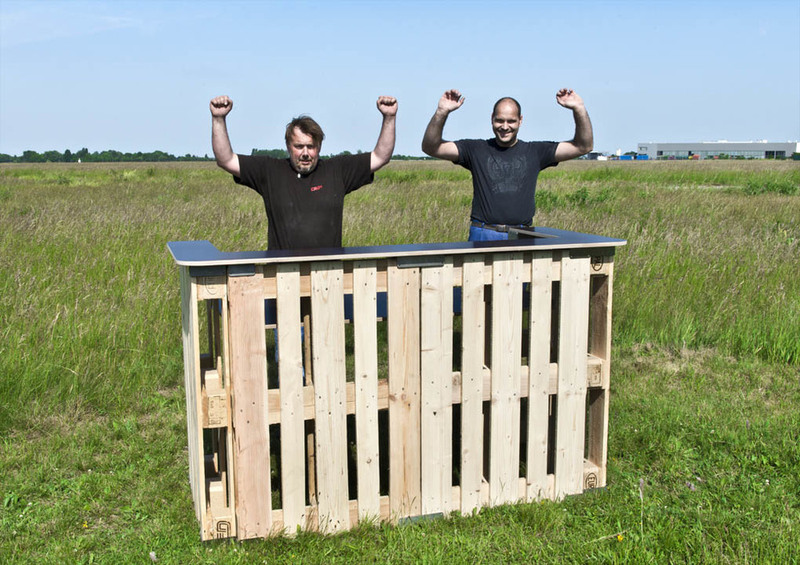 Main requirement was to develop a trendy bar with lowest cost and produced from reusable elements. 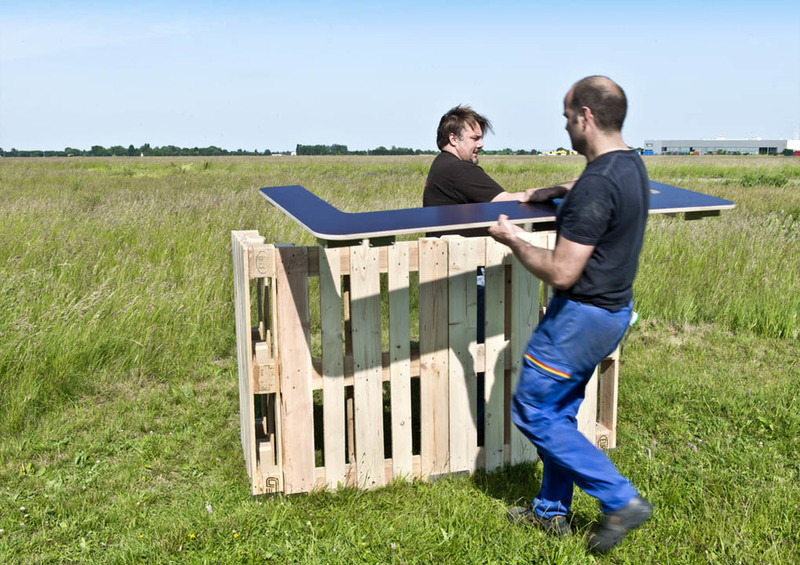 Planning and production time was less than three weeks. 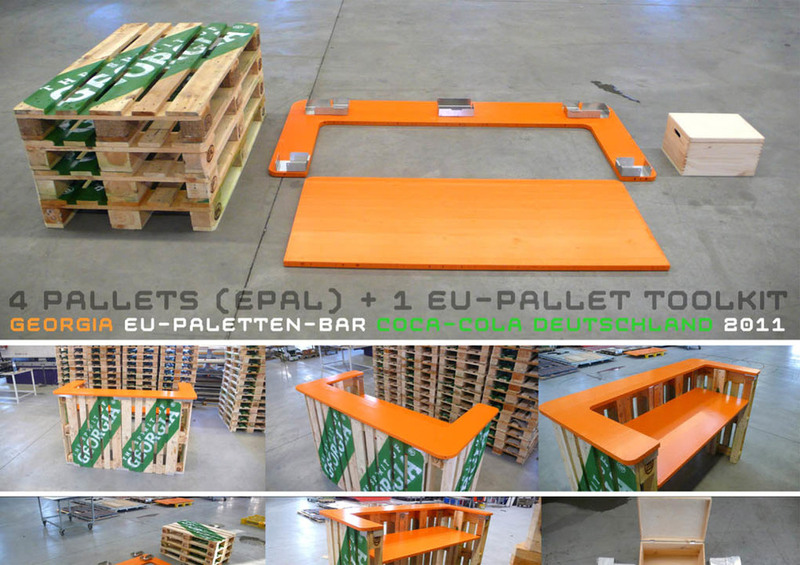 EU–PALLET BAR Real time assembling video, 3 min. 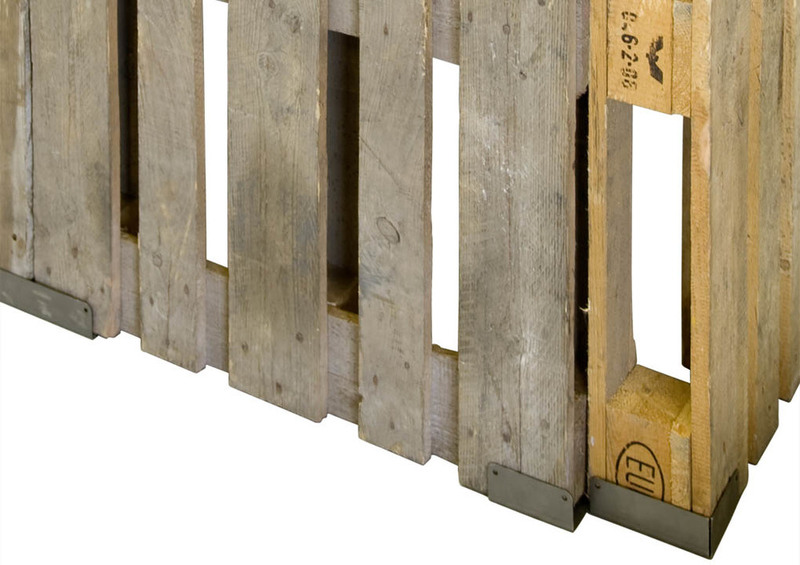 / one man.